Schooled in high-street marketing and a first-class communicator, he has honed his broad skills on diverse projects – in aerospace, manufacturing and service industries. Les read Politics at Edinburgh University and Marketing Strategy at Stanford University, California. Aged 29, he became Marketing Director at Moss Bros and re-energised the hire business. At Littlewoods, as New Business Director, he set up a new plan for direct marketing and doubled internet sales. Les has recently been appointed chairman of the TMMi Foundation which is dedicated to the development of a common, robust model of test process assessment and improvement in IT organisations. Les is based in Cheshire, near Manchester Airport and has worked throughout the UK, Europe, Far East and the US. Les works with big organisations to bring about large-scale change through restructuring projects that cut complexity, reduce costs and make businesses more efficient. In addition to the more conventional post acquisition integration planning and execution Les has undertaken operational restructuring assignments which have entailed integrating operating units and divisions which were not previously integrated. Les’s work spans both B2C and B2B sectors and markets. He has been engaged to complete commercial due diligence, business case development, strategy development, re-structuring organisations, process simplification, reducing costs, rationalisation of IT applications, the provision of training materials including the production of integration playbooks, as well as leading the integration process. Les has completed 4 integrations within the retail sector and has a detailed understanding of the challenges of merging different cultures that operate across multiple channels. Most recently, Les led a small consulting team to support a carve out of one of AstraZeneca’s therapy areas. The team completed a quick paced engagement focussed on organisation structure, re-aligning authority and accountabilities, and simplifying business process on drug safety within a highly regulated industry. 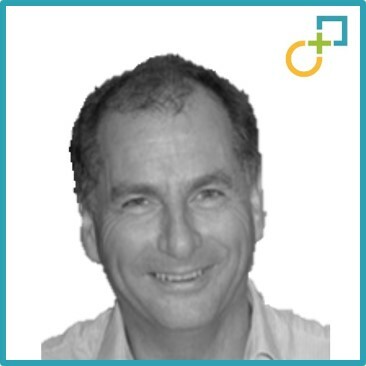 Les is a Non-Executive Director at Trust Technology World, a ‘start up’ within the telecoms sector where he provides advisory services. Guinness Plc – Planning and integration of acquisitions to create a growing retail division with wider geographic coverage and increased buying power. Rolls-Royce – Integration of Nordic business units. Oversaw facility closures, plant moves, and the creation of a simplified management structure. Burton Group – Planning and integration of Debenhams acquisition within existing operations. Nordstrom (USA) – Acquisition integration of Faconnable (France). Establishing control, and programme management of integration and creation of common management reporting systems. Invensys – acquisition strategy, development of M&A playbook, and its application to bolt on acquisitions within Rail sector. Chemring – Integration of US based defence companies to create a single division operating under a single structure and reporting systems. Low & Bonar – Full integration of Belgium and Dutch based businesses comprising lower cost units operating in China, Hungary, and Saudi Arabia. Creation of single operating structure on same IT platform. Development of business strategy across diverse markets. AstraZeneca – work undertaken to prepare the Antibiotics Division ($2b) for a carve out. Definition of target operating model comprising structure, process (including regulatory regimes), IT systems and cost budgets in 13 territories around the world. Littlewoods – Full integration of multi branded High St retail business comprising buying, merchandising, and store operations under a single management structure.